New Zealand were represented by NPC champions Waikato, along with Auckland, Otago and North Harbour. 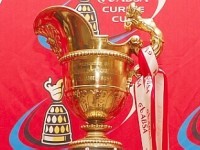 South Africa were represented by Currie Cup champions the Natal Sharks, along with Transvaal and Northern Transvaal. Western Samoa were the representatives from the Pacific Tri-Series. Transvaal defeated Auckland 20–17 at the final at Ellis Park in Johannesburg. New Zealand were represented by NPC champions Auckland, along with Waikato, Otago and North Harbour. 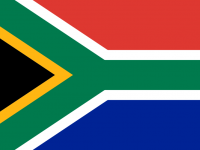 South Africa were represented by Currie Cup champions Transvaal, along with the Natal Sharks and Eastern Province. Western Samoa were once again the representatives from the Pacific Tri-Series. Queensland were ranked top of Pool A on points difference, and defeated Natal 21–10 at the final at Kings Park in Durban. New Zealand were represented by NPC champions Auckland, along with Canterbury, Otago and North Harbour. South Africa were represented by Currie Cup champions Transvaal, along with Western Province and the Free State. Tonga were the representatives from the Pacific Tri-Series. Queensland defeated Transvaal 30–16 at the final at Ellis Park in Johannesburg.